Las Vegas, NV (January 18th, 2019)– Saturday night’s super showdown on January 19, 2019, between Manny ‘Pacman’ Pacquiao and the ever controversial Adrien Broner might turn out to be the fight of the year in 2019. Much hype will reveal whether Broner, whose mouth and ongoing problems with the law have proven to be a great selling point, will put up or shut up against Pacquiao. If both fighters make the 147-pound weight limit Friday, Pacquiao, 60-7-2 with 39 knockouts, will have the edge on experience as the reigning World Boxing Association World Welterweight champion. At age 40, the southpaw Pacquiao’s great experience, sense of training discipline and ring generalship should pave the way for a 12 round decision victory over Broner, 33-3-1 with 24 knockouts. The winner of this welterweight super bout could get propelled into a super fight against the now retired Floyd Mayweather" class="aalmanual" target="_blank" href="https://www.sportsmemorabilia.com/player/Floyd_Mayweather_Jr. ?utm_source=Shareasale&utm_medium=affiliates&utm_term=kw--Floyd_Mayweather_Memorabilia|cpn--no_coupon|offer--no_offer&utm_content=L--Boxing|t--all_boxing|p--Floyd_Mayweather_Jr.|pc--Collectibles_and_Memorabilia|ag--NoGender&utm_campaign=dest--www_sportsmemorabilia_com|creatv--Text_Link|date--9142015|geo--NoGeo&SSAID=720398&sscid=41k3_3sw5v">Floyd Mayweather later in 2019. Pacquiao’s work rate in terms of punches thrown-has always been high, and will most definitely register higher than Broner by far in all punch categories of the official CompuBox count. The Pacquiao corner’s main concern will be ensuring Pacquiao does not get careless in his assault of Broner, as Pacquiao did against Juan Manuel Marquez. Broner was decisioned by Shawn Porter at the MGM Grand in Las Vegas, Nevada, where this bout will take place, and undoubtedly the Pacquiao corner will carefully examine the Porter playbook to repeat the blueprint of success. Broner had Porter down in the final round of their bout, and will be looking to capitalize on any Manny Pacquiao" class="aalmanual" target="_blank" href="https://www.sportsmemorabilia.com/player/Manny_Pacquiao?utm_source=Shareasale&utm_medium=affiliates&utm_term=kw--Autographed_Manny_Pacquiao_Memorabilia|cpn--no_coupon|offer--no_offer&utm_content=L--Boxing|t--all_boxing|p--Manny_Pacquiao|pc--Collectibles_and_Memorabilia|ag--NoGender&utm_campaign=dest--www_sportsmemorabilia_com|creatv--Text_Link|date--9142015|geo--NoGeo&SSAID=720398&sscid=41k3_3szsw">Manny Pacquiao mistakes. Broner, sporting a seemingly spiritual like beard going into this bout, could be the ‘Moses’ of the welterweight division, due to his appearance. Broner may see his role as both saint and devil, playing the part of the fighter everyone loves to hate, while at the same time hoping his considerable power-and talent will prove to be the ultimate salvation the welterweight division, return excitement to it, outclass an aging Pacquiao and perhaps retire him from the sport. Broner is fishing for another mega payday, and a win over Pacquiao combined with his big mouth conceivably could do the trick. Broner has size, speed, and power, and could win several of the middle rounds, making it an interesting contest. This could be a sleeper, as it is a far better matchup than most give it credit for. Pacquiao has a clear mind and the clear edge on experience. Broner has around the same power as Manny, though, and his approach might be to wear Pacquiao down in the early and middle rounds, then drag Pacquiao into the later rounds hoping Pacquiao’s age will make him tire and susceptible to getting knocked out or being stopped. Broner has a reputation for being very tentative with his hands, and Pacquiao will find his chin enough to score a knockdown or two to secure the scorecards in what could still prove to be an extremely close bout, and the best-televised bout of the year thus far. 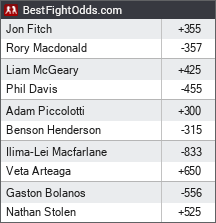 One fighter seems destined at this point to want it a little bit more. The results will prove it is Pacquiao. Both fighters have a lot to prove. However, Broner is unable to avoid trouble and his share of controversy both inside and outside of the ring. Broner’s weakness is himself, which is Pacquiao’s best and most clear advantage is executing a winning fight plan. Look for Pacquiao down a highly technical bout, using rapid jabs and combinations to force Broner into a defensive retreat. A couple of knockdowns could affect the scoring in a close bout. Pacquiao versus Broner should prove a great PPV bout. In the end, Pacman should reign supreme.